Today is the 2014 Texas Republican Primary Runoff Election Day! VOTE from 7am to 7pm. The people elected today will likely win against the Democrats in November, so this Republican Primary Runoff Election is very important. There are many important races, but I have kind of taken a break and so I really have only gotten involved in 2 races, the Attorney General's Race and the Lieutenant Governor's race. I SUPPORT DAN PATRICK for Texas Lieutenant Governor over David Dewhurst. You can search the many articles that I have written about him and you already have received several emails from me about Patrick. I SUPPORT KEN PAXTON for Texas Attorney General over Dan Branch. I might have opposed Paxton in his race with Barry Smitherman because I believed that Smitherman was better in that race, but now the race is between just Paxton and Branch. Even though I initially supported Smitherman, I always declared that Paxton is a conservative and that I would hands down support him over the more moderate Dan Branch. For instance, I did not like that Paxton withdrew from the race vs Joe Straus, but at least Paxton had the guts to oppose Straus in the first place, and not only that, Branch was one of the guys who helped elect Joe Straus and Branch completely supports Straus. Texas needs Paxton for Attorney General and not Dan Branch! An Army Reserve friend of mine, Christine Clow, was supposed to be back in southeast Texas today after visiting her boyfriend in Missouri. Due to unforeseen circumstances, Clow ended up getting stuck in Missouri. Clow getting stuck in Missouri ended up being what saved a little girl’s life from a drunken kidnapper this morning (5/23/2014) at Clear Folk Lake, Knob Knoster, MO. I think that this is a little more than just right place right time. God works in mysterious ways for sure! The last 24 hrs have been some of the toughest in this campaign. David Dewhurst, who is trailing by a large margin in the polls going into early voting (which begins Monday), launched one of the dirtiest attacks anyone has launched on an opponent. At first Dewhurst denied he had anything to do with the release of my medical records when I was treated for depression 30 years ago. He blamed former candidate Jerry Patterson for the release of records. However, in an e-mail sent out a few hours later in error to the media, Patterson clearly showed David was totally involved and knew everything that was happening. I have never hidden the fact I struggled with depression in the 1980s, but I did keep the details private. They were personal as all medical issues are. I voluntarily entered a hospital in 1982 and then again in 1986 to treat my depression. The drugs that were prescribed for me in the hospital only made it worse. By 1987, through prayer, the love of my family and my doctor I was finally able to defeat depression. I have not seen a doctor or taken any medication for depression or any other mental health issue since 1987. Millions of Texans have had an episode of depression or know of a family member who has. One reason I have talked about this issue on the radio over the years is to let people know there is no shame in asking for help or seeking treatment for depression. We must remove the stigma of seeking help for mental health. In most cases depression can be cured. I have gone on to have a very productive and successful life for the last 30 years. My recently released medical exam shows I am in excellent physical and mental health as I have been for decades. This has also been a test of my Christian faith. I open every speech with I'm a Christian first and conservative second. It's now time to live my faith through actions and not just words. There are two verses close to my heart that have kept me strong. My campaign has been focused on the issues, namely cutting property taxes and securing the border. Meanwhile Dewhurst has spent millions attacking me and to date not one single dollar on why he should be re-elected or on any issue. It's time to put an end to the dirty political tricks of David Dewhurst. It's the only way he knows how to campaign. We've seen it before. Securing the Texas/Mexico border is a very important issue for a long time, and it is a big issue that has come up in the current Texas Lieutenant Governor’s March 27th, 2014 Republican Primary Runoff Election between Dan Patrick and David Dewhurst. It has been for a very long time that the border and illegal immigration has been an issue, but yet it seems as if nothing has been done. There were National Guard troops there at one point but they have been scaled back for some time now and Texas has not stepped in to do much to fill in the void. My brother served on the border for a year and personally witnessed battles and explosions along the border. This is Texas for crying out loud, why have we not been able to do anything significant to protect our border? I believe this lack of sufficient action reflects poorly on the current leadership. That is a key reason why Conservative Dan Patrick is challenging the current leadership. Is David Dewhurst a really bad guy or a liberal? No, but Texas needs leadership that will not back down and take Texas to the next level of getting things done instead of playing politics. That is why Texas elected Ted Cruz as our US Senator instead of David Dewhurst. I believe that most of us Texans would agree that Ted Cruz was the right man for the job and has done an amazing Job standing up for conservative values and fighting instead of compromising. On top of a lack of meaningful border security, there has also been a lack of meaningful legislation to “stop the magnet” so to speak. In other words, we have to secure the border, but we also have to end the incentives that are a magnet for people coming over the border illegally instead of coming over the right, legal way. Some supporters of Dewhurst will claim that Patrick or his supporters are not credible or are lying about Dewhurst on issues like the border and illegal immigration. Well how about listening to the words of our trusted US Senator Ted Cruz. 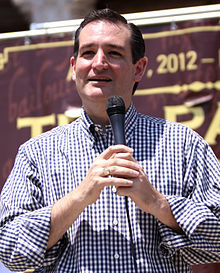 Ted Cruz pointed out Dewhurst’s hypocrisy during the 2012 U.S. Senate campaign. "This is another Republican primary year conversion by David Dewhurst. He was for in-state tuition for illegal immigrants before he was against it. The next Senator from Texas needs to be a strong conservative who knows what he believes. I strongly oppose in-state tuition for illegal aliens, and categorically oppose amnesty or preferential treatment for illegal immigrants" (Corpus Christi Caller Times, 09/27/2011). *SCR 6 (2013)- Demands reimbursement by federal government for border security costs (Dan co-authored). *HB 12 (2011)- Prohibited Sanctuary cities (Dan Co-sponsored). *HB 260 (2011)- Enhances penalties for human smuggling (Dan Sponsored). SB 268 (2007)- Wire transfer fee revenue to fund border security. *SB 1784 (2009)-Required lawful presence for getting a driver’s license (Dan co-authored). *HB 13 (2007)-Created Border Security Council (Dan co-sponsored). *SB 11 (2009) – Gang enforcement bill (Dan co-authored). *SB 9 (2011)- Immigration Omnibus Bill (Dan joint authored). *SB 288 (2011)- Authorizes southbound checkpoints along border (Dan Co-authored). Politics is, well, it is politics. If you can find something possibly negative about your opponent then you use it against him or her. I have no issue with that because it is important for voters to see where you rise above the other candidates in a race. What I have an issue with is hypocrisy. I do NOT like it when a candidate does something wrong, but then bashes his opponents for doing the exact same thing. For example, if I voted to raise taxes it would be very hypocritical of me to bash someone for also voting to raise taxes while hiding the fact that I voted to raise taxes. That would be deceptive and flat out unethical. Now if I have never voted to raise taxes and my opponent did, then you better believe the people should know the truth that I do not raise taxes but my opponent did. The 2014 Texas Republican Primary Runoff Election (May 27th Election Day) includes a very heated race for Lieutenant Governor of Texas. The race has come down to Dan Patrick vs. David Dewhurst. Dan Patrick is the clear conservative choice in this race. Patrick is endorsed by most conservative/tea party groups, and he also easily received the most amount of votes in the primary election. David Dewhurst knows he is losing the race so he has tried to attack Patrick. The problem is that David Dewhurst is attacking Dan Patrick for doing something that Dewhurst also has done! That is just hypocritical. David Dewhurst attacks Dan Patrick over 28 year old Bankruptcy and back taxes even though Dewhurst had an even Bigger Bankruptcy than Patrick and Dewhurst also owed back taxes. Fact: David Dewhurst and his companies have been involved in a bankruptcy case, a debt suit, tax liens and back taxes owed to the state. Dewhurst owed millions of dollars to creditors and the state through debts and unpaid taxes. If Dewhurst were to attack any other candidate for bankruptcy or tax issues, he must answer questions about his own bankruptcy, debt lawsuit and back taxes owed. Fact: David Dewhurst’s business bankruptcy in 1982 listed debts of more than $7 Million, compared to Dan Patrick’s 1986 bankruptcy listing $816,000 in debts. Fact: David Dewhurst and two of his companies were sued in 1983 by a Houston bank to recover an unpaid debt; Dewhurst was ordered to pay $832,805. Fact: Dewhurst is a multimillionaire and he has yet to pay the people who worked for his failed 2012 US Senate campaign. 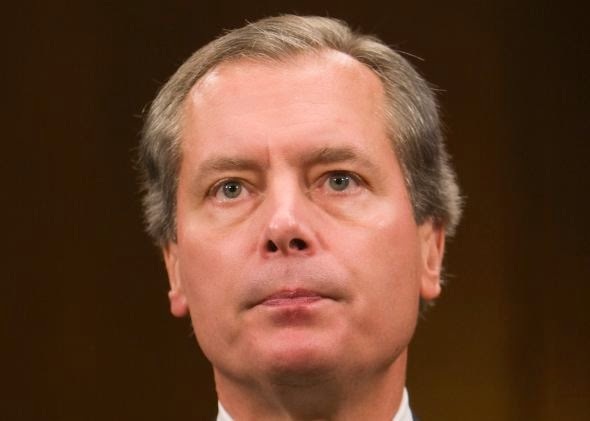 David Dewhurst currently owes more than $1 million to vendors for services provided to his 2012 U.S. Senate campaign. Fact: Dewhurst owed $1,542 in back taxes and fines to the Comptroller for unpaid franchise taxes relating to his company Trans-Gulf Supply. The company did not file a franchise tax return in 1984 and did not pay the state-required minimum tax. The company was subject to tax forfeiture in 1990. In 2000, the Comptroller’s Office informed Dewhurst that he owed use taxes on art and furniture he purchased in foreign countries. Dan Patrick is the clearly the more solid, most outspoken conservative in this race. This race is very similar to when conservative fighter Ted Cruz ran against David Dewhurst for US Senate. Sure, David Dewhurst is not a bad guy and not a liberal, but David Dewhurst just does not always put his foot in the ground and consistently stand for conservative values. Dewhurst is especially being hypocritical for attacking Patrick over things that Dewhurst is just as guilty of doing. Dewhurst likes to be a little friendlier to Democrats than what is needed. I understand wanting Democrats to be at the table and have a voice, but Dewhurst would go above and beyond and appoint Liberal Democrats and even liberal Republicans to key leadership positions in the Texas Senate. Even the big Wendy Davis “filibuster” to try to stop the new Texas Pro Life laws should have ended much sooner had it not been for Dewhurst not stopping it sooner. Dewhurst is no liberal, but Texas needs a conservative fighter who will go above and beyond. That is why I supported Ted Cruz over Dewhurst and that is also why I support Dan Patrick over Dewhurst in this Texas Lieutenant Governor Republican Primary Election May 27th, 2014.